I learned this word from the book, the alice network by Kate Quinn. A bertha is a lace collar, which is usually attached to a low neckline on a shirt or dress. Oh My - I have 3 "Berthas". And yes - I still wear 'em. Bertha is also a girls name. I remember there was a girl in school named. Bertha is a female Germanic name, from Old High German berhta meaning "bright one". The name occurs as a theonym, surviving as Berchta, a figure in Alpine folklore connected to the Wild Hunt, probably an epithet of *Frijjō in origin. Bertha appears as a Frankish given name from as early as the 6th century. 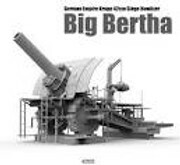 Also Big Bertha is the name of a type of super-heavy howitzer made by the famous armaments manufacturer Krupp in Germany on the eve of World War I. Another huge gun, 42-cm Gamma-Device howitzer, was the forerunner of the Bertha. Cowgirl, I learned another new word from you: theonym. I am probably not explaining it very well, but a theonym is the name of a god or goddess, if the god has a similar name in other cultures. For example, there is frijj and freya. Frijj is the goddess of love is Germanic mythology and freya is the goddess of love in Norse mythology. That's great Dana! I know you do like reading and I'm sure new words are a plus to you.